In “History of the Necronomicon,” H. P. Lovecraft remarked that his fictional tome of arcane lore inspired Robert W. Chambers to write The King in Yellow (1895). Of course, Lovecraft was joking. The short story collection by Chambers owed its inception to the supernatural tales of Ambrose Bierce. I suspect a secret meaning in Lovecraft’s jest. The same stories by Bierce that prompted Chambers to invent The King in Yellow spurred Lovecraft to create the Necronomicon. Although Bierce would be the primary influence on the imaginary tome, Lord Dunsany, Edgar Allan Poe, Thomas Moore, and the ninth edition of the Encyclopedia Britannica all played significant roles in molding the cornerstone of Lovecraft’s artificial mythology. Similarly, Bierce mixed together with Poe, Moore, Masonic rituals and Breton legends would shape the Carcosa mythology of Chambers. In Lovecraft: A Look behind the Cthulhu Mythos (Ballantine, 1972), Lin Carter erroneously speculated that The King in Yellow by Chambers motivated Lovecraft to fashion the Necronomicon. 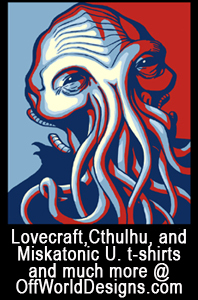 As S. T. Joshi pointed out in The Rise and Fall of the Cthulhu Mythos (Mythos, 2008). Lovecraft didn’t read The King in Yellow until 1927, years after the first appearance of the Necronomicon. Abdul Alhazred, the author of the Necronomicon, first made his appearance in “The Nameless City” (Wolverine, November 1921), and the book itself then initially surfaced in “The Hound“ (Weird Tales, February 1924). The first quote from the Necronomicon graced “The Festival” (Weird Tales, January 1925) ‘The Nameless City” was written in January 1921, “The Hound” around October 1922, and “The Festival” around October 1923. According to third edition of S. T. Joshi’s Lovecraft’s Library: A Catalogue (Hippocampus Press, 2012), Lovecraft began to read Bierce in 1919. Figuring out which horror stories were read by Lovecraft in a particular year is more problematic. Lovecraft owned two collections of short stories by Bierce, a 1918 edition of Can Such Things Be? (purchased in 1922) and a 1927 edition of In the Midst of Life (purchased in 1927). 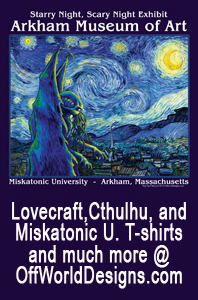 Lovecraft read stories contained in those collections long before he purchased them. For example, In the Midst of Life includes “The Man and the Snake.” Lovecraft’s “The Festival” makes reference to that tale by Bierce. Obviously Lovecraft read “The Man and the Snake” before obtaining In the Midst of Life. Lovecraft’s Library: A Catalogue reveals that Lovecraft procured in 1922 ten volumes of The Lock and Key Library: Classic Mystery and Detective Stories (1909) edited by Julian Hawthorne. Volume 9 reprinted “A Man and a Snake,” and this anthology may be Lovecraft’s first contact with Bierce’s tale. Less obvious is when Lovecraft first encountered Bierce’s “An Inhabitant of Carcosa” and “The Death of Halpin Frayser,” two stories which can be found in the 1918 version of Can Such Things Be? (the original 1893 collection of the same name has strikingly different contents). Lovecraft had certainly read these two stories by 1922. If he chanced upon them before January 1921, then the possibility that the two tales influenced “The Nameless City” arises. “An Inhabitant of Carcosa,” which was first published in the San Francisco Newsletter (December 26, 1886), began with a quote from Hali about the spirits of the dead haunting the places where their bodies decayed. The quote was cited by the tale’s narrator, Hosseib Alar Robardin. This spirit forgot his own death and attempted to return to his normal life. He realized the truth upon finding his own grave amid the ruins of the abandoned city of Carcosa near an unnamed desert. Bierce is generally believed to have derived the name Carcosa from the town of Carcassonne in southern France. Marco Frenschowski’s “Hali”, an article that first appeared in Crypt of Cthulhu #93 (Eastertide, 1996) and was subsequently reprinted in S, T. Joshi’s Dissecting Cthulhu: Essays on the Cthulhu Mythos (Miskatonic River Press, 2011), puts forth the intriguing theory that Carcosa was really intended by Bierce to be Carcassonne, which was ruled by Arabs during 720-759 A. D. Supposedly Hosseib was an Arab resident who returned centuries later as a ghost when the city was populated by French citizens. The objection to this theory stems from the fact that Carcosa is in a desert and has no human population other than an enigmatic archer with a torch. An owl, a lynx, and wolves were also present among the ruins. Most readers of Bierce’s tale would assume that Carcosa was located in either North Africa or the Middle East. It could easily be located in the Arabian Desert. Besides Cacassonne, another inspiration for Carcosa was suggested in the Cthulhu Mythos fiction of Richard L. Tierney. 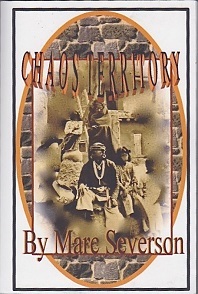 The House of the Toad (Fedogan and Bremer, 1993) placed Bierce’s original version of Carcosa in the Jordan Valley. This location probably owed its inception to Petra, the ancient Nabataen capital whose ruins were discovered by Johann Ludwig Burckhardt in 1812. The destruction of the city’s water supply by earthquakes in the fourth century and the shifting of trade routes led to the voluntary abandonment of the city around 663 A. D. Petra is situated on the portion of the Jordan Valley that borders the Arabian Desert. The historical site was immortalized as “a rose-red city half as old as time” in “Petra” (1845), a poem by John William Burgon. The poem mentioned “graves” like those in Bierce’s story. Burgon also depicted how the Pleiades from the Taurus constellation could be viewed from Petra. Bierce had other stars from the Taurus constellation, Aldebaran and the Hyades, bring observed from Carcosa. In fact, Aldebaran’s name is Arabic for the “follower.” The star earned that designation by creating the illusion of chasing after the Pleiades. There is another poem called “Petra” excerpted from Ruins of Many Lands (1849) by Nicholas Michell. This poem had the ruins of Petra being nocturnally prowled by an owl, a lone wolf and armed guides bearing torches. All of these intruders have a parallel in “An Inhabitant of Carcosa.” Rather than a bow and arrow like Bierce’s torchbearer, Michell’s guides carried knives to protects themselves against robbers. With the exception of the lynx, the animals in Bierce’s tale all surfaced earlier in Michell’s poem. While Carcosa drew its name from Carcassonne, its old attributes correspond to poetic portrayals of Petra. Tierney’s Jordan Valley location for Carcosa has a rock solid foundation. The Arab narrator of “An Inhabitant of Carcosa” doesn’t recognize the language of the torch bearer. If Carcosa is meant to be Petra, then the torch bearer could be Turkish, Petra became part of the Ottoman Empire in 1516, and was still under Turkish rule when Bierce wrote his story. Bierce may have devised the name Carcosa from a French poem that also influenced Lord Dunsany. Poems and Places: An Anthology (1879), edited by Henry Wadsworth Longfellow, was published seven years before “An Inhabitant of Carcosa” appeared. Inside Longfellow’s anthology was M. E. Sherwood’s translation of “Carcassonne,” a French poem by Gustav Nidaud. The poem concerned a dying man who regretted never visiting Carcassonne. Inspired by this poem. Lord Dunsany wrote “Carcassonne” in A Dreamer’s Tale and Other Stories (1910). The story concerned the tragic quest by a king and his knights to find the fabled metropolis of Carcassonne. Apparently unaware of the historical French city, Dunsany located his Carcassonne in a nebulously remote corner of either the Earth or its Dreamlands. Dunsany must have read the poem in some later reprinting because Longfellow identified Carcassonne as being in France. Lovecraft’s “He” (Weird Tales, September 1926) briefly mentioned Dunsany’s version of Carcassonne. “The Nameless City” had its narrator, a western explorer, investigating the ruins of a city in the Arabian Desert. He recalled a couplet by an Arab poet that spoke of a strange resurrection after death. The inhabitants of the city, a reptilian race, awakened from their tombs to threaten the narrator. There are pointed similarities between “The Nameless City” and the two Hali stories. Both “An Inhabitant of Carcosa” and “The Nameless City” featured Arab writers obsessed with transmutation after death, and the resurrected inhabitants of an Arabian city, “The Death of Halpin Frayser” had a writer of poetry killed by a revived copse. “The Nameless City” had a reader of poetry attacked by revived corpses. In a letter to Robert E. Howard (January 16, 1932), Lovecraft described how the name, Abdul Alhazred, was coined when he was a five year old boy conversing with the family lawyer. Years later Lovecraft would bestow that name on a character combining the arcane wisdom of Hali and the poetic skills of Halpin Frayser. A letter to Frank Belknap Long (January 26, 1921), Lovecraft disclosed that “The Nameless City” had its foundation in “a dream, which in turn was probably caused by the peculiar suggestiveness of a phrase in Dunsany’s Book of Wonder – ‘the unreverberate blackness of the abyss.’ ” The “abyss” quote was from Lord Dunsany’s “Probable Adventure of the Three Literary Men” in The Book of Wonder (1912). Set in Arabia, the tale concerned a thief falling into a truly bottomless pit. Lovecraft’s 1919 contribution to the Kleicomolo is lost as well as any earlier communication describing the “abyss dream” in detail. This dream seems to be the same one alluded to in the letter to Long. Lovecraft was reading Dunsany by the fall of 1919. The September 27 letter to Kleiner also revealed that Lovecraft was reading Dunsany’s Plays of Gods and Men.(1917). Another letter to Kleiner (January 23. 1920) enclosed a recently completed poem, “On Reading Lord Dunsany’s Book of Wonder.” The fact that Lovecraft composed this poem in January 1920 does not preclude the possibility that he read Dunsany’s The Book of Wonder by September 1919. After her resurrection, Halpin’s mother exhibited “a low, deliberate, soulless laugh, which had no more of joy than that of a hyena night-prowling in the desert . . .” The implication was that the woman’s soul had been supplanted by an animal’s. This implied transformation may have induced Lovecraft to write “The Hound” in which a cadaver physically transformed into a howling beast. When Lovecraft penned this tale, hyenas were falsely perceived as canines who primarily feasted on carrion. The monster in “The Hound” was a dog-like creature associated with the devouring of corpses. The metamorphosis in “The Hound” was tied to a mystical amulet which was briefly described as “that damned thing.” This was an allusion to Bierce’s “The Damned Thing,” a tale about an invisible monster. It was contained alongside the two Hali tales in the same edition of Can Such Things Be? 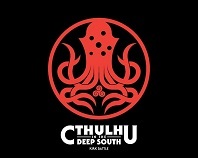 owned by Lovecraft. Although Lovecraft didn’t owe a copy of “The Damned Thing” until 1922, he had actually read it years earlier, Lovecraft commented on “The Damned Thing” in an April 1920 letter to Alfred Galpin. Assuming that Lovecraft read “The Damned Thing” in a Bierce collection, then he only could have read it before April 1920 in 1) the Putnam (New York, 1908) edition of In the Midst of Life, 2) the 1910 edition of Can Such Things Be? or 3) the 1918 re-issue of the same title (later purchased by Lovecraft in 1922). 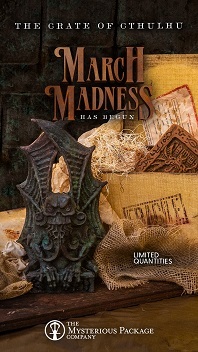 All three collections contain “An Inhabitant of Carcosa, and the last two contain “The Death of Halpin Frayser.” In Lovecraft’s Library: A Catalogue, Joshi theorized that Lovecraft derived the title for “Beyond the Wall of Sleep” (Pine Cones, October 1919) from Bierce’s “Beyond the Wall” (Cosmopolitan, December 1907), a story only available in the 1910 and 1918 editions of Can Such Things Be? The evidence suggests that Lovecraft read Bierce’s Hali tales in 1919. As noted in an earlier quoted passage by Robert M. Price, Bierce never ascribed a title to Hali’s writings, but created a tome called Morryster’s Marvells of Science in “The Man and the Snake,” a story first published the San Francisco Examiner (June 29, 1890). As Robert M. Price noted in The Hastur Cycle, the passages attributed to Hali and Morryster are written in a similar style. “The Call of Cthulhu” (Weird Tales, February 1928) would later incorporate the couplet into the Necronomicon, and consequently created the impression that “the nethermost caverns” passage was actually the second quotation from Alhazred’s book to appear in Lovecraft’s fiction. Bierce’s “Beyond the Wall” may have suggested the name Necronomicon to Lovecraft. That story related a legend that a man would perish after three visitations by a ghost (the “fatal triad”). The source of this lore was a Hali-like sage named Parapelius Necromantius. Parapelius may be a variation on Paracelsus, the fifteenth century alchemist and astrologer. Necromantius was derived from ”necromantis,” Latin for “necromantic,” relating to the raising of the dead. 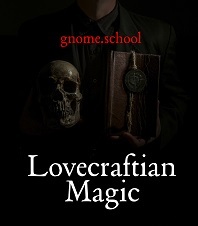 Lovecraft wrote Fischer that the name Necronomicon came to him in a dream. Perhaps the dream was sparked by contemplating the meaning of the name Parapelius Necromantius. The same star appeared prominently in “The Yellow Sign,” the most famous story in The King in Yellow by Robert W. Chambers. 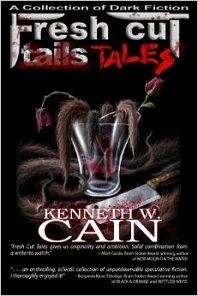 The tale features a monstrous messenger who seemed to be a worm transformed into a human being. This character was a precursor of the worms merging with corpses in the later Necronomicon quote from ”The Festival.” However, Lovecraft didn’t read “The Yellow Sign” until four years after writing ”The Festival.” Is this pure coincidence or is there another explanation? The first line about a mental force which “lieth” and “dieth not” may have inspired the first half of the Alhazred couplet (“That is not dead which can eternal lie”). This Glanvill quote is generally believed to be a total fabrication by Poe. I performed an internet search through twenty-two different works by Glanvill looking for “die,”, and couldn’t find any comparable text. Furthermore, I saw no instance of Glanvill applying “th” as a suffix to verbs. Besides influencing Lovecraft, the Glanvill passage from “Ligeia”may have inspired the resurrection lore sprouted by Bierce’s Hali. The title character of “Ligeia” was a female poet. Her poem, “The Conqueror Worm” bemoaned the destiny of humans to be feasted upon by graveyard worms after death. Following her own demise, Ligeia’s spirit possessed the body of another woman. Ligeia was able to mold the flesh of the new host body to resemble her original one. Saducismus Triumphatus was described in the entry for Joseph Glanvill in the ninth edition of the Encyclopedia Britannica. Lovecraft could have looked up Glanvill after reading Poe’s tale. In addition to the volumes by Morryster and Glanvill, there was another book buttressing the Necronomicon. This was Daemonolatreia by Remigius, a sixteenth century judge who tried witches, This book wasn’t mentioned at all in the ninth edition. Where did Lovecraft learn of Daemonolatreia? The answer can be found in a letter to Robert E. Howard (November 2, 1933). Here Lovecraft disclosed that the ancient cult in “The Festival” wad inspired by Margaret A. Murray ‘s The Witch-Cult in Western Europe (1921). Murray frequently cited Daemonolatreia. Therefore, the three books were clustered with the Necronomicon for a reason. 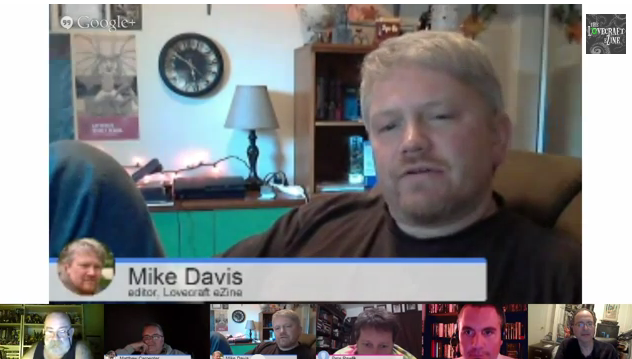 They all acknowledged that Lovecraft borrowed a major concept in “The Festival” from another writer. Glanvill, Remigius and Morryster were respective surrogates for Poe, Murray and Bierce. Robert W. Chambers was also a student of Poe’s works. The opening scene of “The Mask” in The King in Yellow had a stranger at a masquerade ball shocking the other guests. This scene was inspired by a similar event in Poe’s “The Masque of the Red Death.” Chambers probably extrapolated the idea of a worm metamorphosis from “Ligeia” as well. The poem incorporated into Poe’s story, “The Conqueror Worm,” is about “a play of hopes and fears” which featured a “Phantom” among its characters. 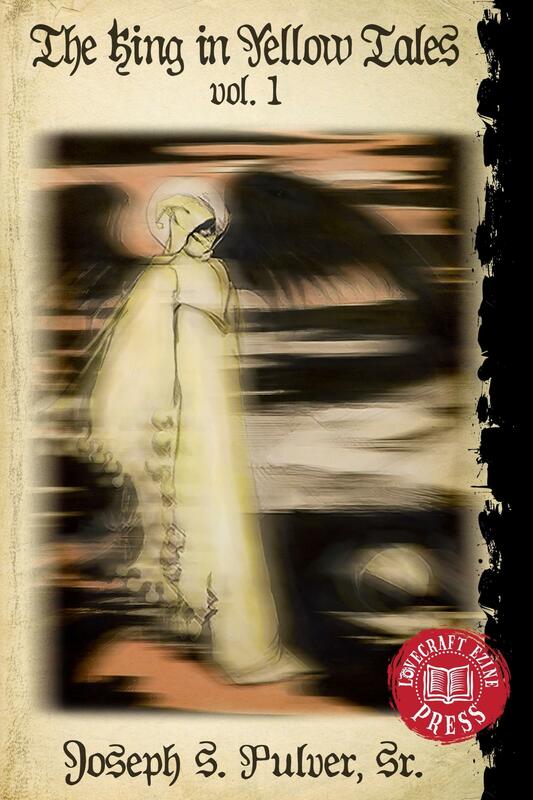 The King in Yellow contains stories about a play which featured the Phantom of Truth among its characters. The play in “The Conqueror Worm” seems to be a stage adaptation of “The Masque of the Red Death.” “The Conqueror Worm” described a scene in its untitled drama where a group of characters pursue the Phantom and were unable to catch him. This scene resembled the pursuit of the Red Death by Prince Prospero and his retainers. The play was also called “a motley drama,” which may be a reference to the multi-colored rooms in Prospero’s abbey. The unnamed play concluded with the appearance of “a blood-red thing,” a giant worm, which could be viewed as a monstrous avatar of the Red Death that emerged victorious in Poe’s tale. Like Lovecraft, Chambers could have extrapolated the transformation of a worm into man from “Ligeia. Because of the similarities between “The Festival’ and “The Yellow Sign,” Cthulhu Mythos writers have often made the cultists of ‘The Festival” minions of the King in Yellow. One pastiche, “The Kingsport Desk” from Two Against Darkness (H.Harksen Productions, 2012) by Ron Shiflet and Glynn Barass, even revolved around the clever idea that Kingsport, the fictional New England town in “The Festival,” was named by its founders after the King in Yellow. Since Lovecraft first created Kingsport in “The Terrible Old Man” (written during January 1920), there probably wasn’t any sinister connotation originally intended in its name. When later reading The Witch-Cult in Western Europe, Lovecraft may have been intrigued by a reference that witches venerated the King of the Faeries. Therefore, he chose to transform his already existing town of Kingsport into the center of an ancient cult. In his introduction to The Hastur Cycle, “The Mythology of Hastur,” Robert M. Price mistakenly made the argument that The King in Yellow inspired Lovecraft to create the recurring High Priest of Leng whose features were hidden by a mask of yellow silk. Lovecraft created this sinister sage in “Celephais,” written in 1920, seven years before discovering The King in Yellow. The priest was actually revealed to be one of the toad-like moon-beasts of the Dreamlands in “The Dream-Quest of Unknown Kadath” (written during October 1926-January 1927) . The origins of the High Priest more likely resides in two stories by Lord Dunsany from A Dreamer’s Tales (1910), “Bethmoora” and “The Hashish Man,” . Both stories involved an imaginary city, Bethmoora, which was deserted by its inhabitants and overrun by the desert. The exact reasons for the abandonment of the metropolis, but one explanation was that it was due to the machinations of “Thuba Mleen, the mysterious Emperor of those lands, who is unseen by man.” He was a tyrant known to practice “torture” in “some private little room.” In this tale, Bethmoora was treated as a city on Earth. Numerous European travelers witnessed the mass exodus from Bethmoora. If the decaying ruins of Bierce’s Carcosa and Dunsany’s Bethmoora seem strangely similar, there is a very logical explanation. Both fictional cities were probably inspired by John William Burgon’s “Petra.” Like Bethmoora, Petra was voluntarily vacated by its populace. The passing reference to the Pleiades in “Bethmoora” implied a connection to Burgon’s poem, and there is ample evidence of Dunsany’s strong familiarity with that earlier work. Dunsany wrote a long series of stories about Joseph Jorkens, a teller of tall tales. “The Club Secretary” from Jorkens Remembers Africa (1934) featured a club haunted by the ghosts of dead poets. The secretary of the club was the unnamed spirit of a man who wrote only a single line of memorable poetry during his entire lifetime: “A rose-red city half as old as time.” Of course, this is the famous line from “Petra,” and Burgon must be the club secretary. In the sequel, “The Expulsion” from The Fourth Book of Jorkens (1947), the club secretary was dismissed from his post when the other ghosts learned that he had plagiarized his famous line from another verse, “By many a temple half as old as time,” written by a poet named Rogers. Dunsany was parodying an actual literary controversy in which Burgon was accused of plagiarizing his 1845 “rose-red city” line from Samuel Rogers. The “By many a temple” line was penned by Rogers for Italy, a lengthy work that was partially published in1822 and finalized in 1830. Emperor Thubla Mleen is the probable template for the High Priest of Leng. Dunsany’s half-human, yellow-faced despot was reworked by Lovecraft into a non-human, yellow-masked cleric. The reference to Thuba Mleen as a “beast” could have prompted the revelation that the High Priest was a moon-beast. Thuba Mleen’s appearance being unknown to the rest of mankind in “Bethmoora” may have suggested the mask motif to Lovecraft. There exists an additional source from which Lovecraft could have drawn the mask. In “The Dream-Quest of Unknown Kadath,” the High Priest of Leng isn’t the only character hiding his face. There is also the Veiled King of Inganok. His title is reminiscent of “The Veiled Prophet of Khorassan,” one of four narrative poems in Lalla Rookh (1817) by Thomas Moore, Lovecraft discussed Moore in “Supernatural Horror in Literature” (written in 1927). Lines from Moore’s Alciphron (1839), as poem about a Greek scholar seeking eternal life, were quoted in “The Nameless City” as well as “Under the Pyramids”, a tale ghost-written for Harry Houdini (first published as “Imprisoned with the Pharaohs” (Weird Tales, May-June-July 1924)). Lovecraft had also read The Epicurean (1827), Moore’s earlier prose version of Alciphron. I couldn’t find any references to Lalla Rookh or “The Veiled Prophet of Khorassan” in Lovecraft’s letters. The discussion of Moore in “Supernatural Horror in Literature”‘ doesn’t cite Lalla Rookh either. Nevertheless, there is evidence that Lovecraft had access to this work by Moore in S. T. Joshi’s Lovecraft’s Library: A Catalogue. Joshi identified that Lovecraft possessed a copy of The Poetical Works of Thomas Moore, Including his Melodies, Ballads, etc. The compilation was published in Philadelphia by J. Crissy during 1843 or 1845. The contents are unlisted by Joshi, but the University of Toronto has a copy of the 1845 edition that is available online. Lalla Rookh is part of this collection. Lalla Rookh was possibly Moore’s most famous work. It was widely translated into many foreign languages. The episode featuring Mokanna was adopted into a popular opera, The Veiled Prophet of Khorassan (1879) , by Sir Charles Villiers Stanford. This opera about an ugly man hiding behind a mask was the likely inspiration for Gaston Leroux’s Phantom of the Opera (1910). Leroux hinted at the connection to Moore’s poem by giving his masked protagonist strong ties to Persia. Mokanna wore a silver veil in Lalla Rookh, but Noldeke’s “Mohammedism” article had the Veiled One wearing a mask of unknown hue. The “Mokanna” entry portrayed the Persian as a man of unknown parentage. Lovecraft could easily have envisioned Mokanna a man hiding non-human ancestry behind a mask. He then merged Mokanna with Thuba Mleen to produce the High Priest of Leng. Another link to the High Priest can be seen in Mokanna’s ability to create moonlight. Moore’s poem had the Veiled Prophet constructing a small artificial moon by magic. The remarks in the Encyclopedia Britannica confirmed the existence of this legendary ability by noting that Mokanna’s moonlight allegedly could be seen from an enormous distance. In “The Elder Pharos” from Fungi from Yuggoth (written during December 1929 and January 1930), Lovecraft had the High Priest of Leng manufacturing a far-reaching beacon of blue light in a stone tower. The High Priest could be creating blue moonlight. Lovecraft’s early works had a tendency to combine the concepts of Dunsany and Moore. 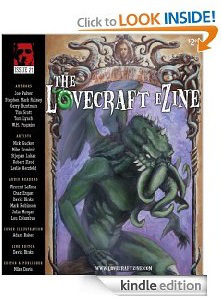 Leslie S. Klinger’s The New Annotated Lovecraft (Liveright Publishing Corporation, 2014) noted that the subterranean wanderings of the narrator in “The Nameless City” mirrored the journey of the Greek scholar in the underground labyrinth beneath a pyramid in Moore’s Alciphron and The Epicurean. 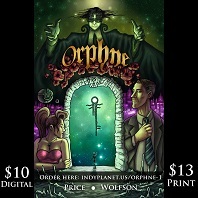 Lovecraft’s tale also borrowed the abyss concept from Dunsany’s “Probable Adventure of Three Literary Men.” The portrayal of Queen Nitocris in “Under the Pyramids” was derived from Dunsany’s usage of the historical figure in “The Queen’s Enemies” from Plays of God and Men, and references to “the Lady of the Pyramid” in Alciphron and The Epicurean. The High Priest of Leng was just another example of Lovecraft merging Dunsany with Moore. The High Priest wasn’t the only of Lovecraft’s characters to result from a union of ideas from “Bethmoora” and “The Veiled Prophet of Khorassan.” The old man from “The Festival’ had unblinking eyes like Thuba Mleen, and hid his monstrous origins behind a waxen mask. The scene where the narrator fainted upon seeing the old man’s real visage may have been inspired by Mokanna’s revelation of his true face to the heroine of Moore’s poem. The possession by Nyarlathotep of a disguising mask and robe (in “The Whisperer in Darkness”) was a variation on the paraphernalia employed by the unblinking cult leader and the High Priest of Leng. This linkage between Leng and Yian is quite appropriate because Moore may have influenced Robert W. Chambers. The Chinese sorcerer of “The Maker of Moons” fashioned a miniature moon that resembled Mokanna’s in “The Veiled Prophet of Khorassan”. In fact, Chambers may even have derived his story’s title from a footnote by Moore that depicted Mokanna as “the Moon-maker,” an alias first used by George Sale. Could ‘The Veiled Prophet of Khorassan” be also connected to the stories about The King in Yellow? 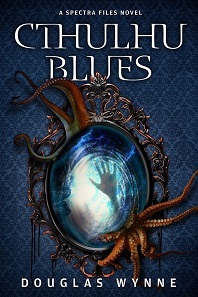 Chambers had borrowed elements from Bierce’s fiction to construct a tapestry of cosmic horror. The metropolis of Carcosa was transplanted to outer space. Hali became a lake that functions as an extra-terrestrial Hell where souls drown forever rather than burn. The King in Yellow was implicitly Satan in outer space, but he openly pretends to be God. During The conclusion of “In the Court of the Dragon,” Chambers had the King refer to himself as “the living God.” Mokanna professed to be an incarnation of God living among mankind. The corrupting play named after the monarch of Carcosa was written in verse. In other words, all its dialogue is poetic. Moore’s “The Veiled Prophet of Khorassan” is a narrative poem with large sections of dialogue. There was an actual stage adaptation of Moore’s poem by William Cooper, Mokanna or The Veiled Prophet of Khorassan (1843). With the exception of the opening scenes in Cooper’s play, all the dialogue is in verse. Pronounce “Khorossan” and then “Carcosa.” Don’t they sound like variant names for the same place? Chambers clearly derived Carcosa from Bierce, but he could have been drawn to Khorossan because of its similar sounding name. After taking the concept of a monstrous play from Poe’s “The Conqueror Worm,” Chambers incorporated elements from “The Masque of the Red Death” and “The Veiled Prophet of Khorossan” into the imaginary drama. Chambers linked the King in Yellow to a Pallid Mask, but the despot wasn’t definitely identified as its wearer. Besides the King, it could be the any of the other characters in the fictional play bearing his name. The general assumption is that the King in Yellow wears the mask. If this is true, then both the King and Mokanna were masked rulers. The excerpt from the verse play in Chambers’ “The Mask” indicted that there was a scene involving a masquerade ball. There is an actual masquerade ball associated with Mokanna, and it existed prior to Chambers’ story In 1878, a group of businessmen founded the annual Veiled Prophet Ball based on Thomas Moore’s poem in St. Louis, Missouri. To the present day, the dance is presided over by a prominent St. Louis businessman disguised as the Veiled Prophet. The traditional costume of the Veiled Prophet at this masquerade ball includes an encircling white veil. Many of the early versions of the veil had a phony white beard attached. This veil may be the basis for the Pallid Mask. There is also a Masonic Lodge, the Mystic Order of Veiled Prophets of the Enchanted Realm, that was founded in Hamilton, New York, during 1890. The Lodge openly acknowledges that its name is derived from Thomas Moore’s poetry. The Masonic connection to Mokanna suggests a possible explanation for the linkage between the King of Carcosa and the color yellow, The symbol of the diabolical sovereign is the Yellow Sign. The Masonic emblem is the square and compass sign. Its color is yellow. The Yellow Sign was depicted as “a clasp of black onyx, on which was inlaid a curious symbol or letter in gold . . . neither Arabic nor Chinese, nor, as I found afterwards, did it belong to any human script.” The yellow square and compass sign is generally placed against a black background. Instead of a letter of unknown origin, it contains the letter “G.” The Yellow Sign was probably a bizarre re-design of the square and compass Masonic sign. Another point of significance is that Masonic Lodges trace their ancestry to the Temple of King Solomon, a Biblical ruler associated with idolatry and sorcery. Furthermore, a diadem (or crown) is one of the symbols of Freemasonry, and Chambers had a diadem belonging to disciples of the King in Yellow in “The Repairer of Reputations.” All the wild talk about “The Imperial Dynasty of America” in the same story could be a variation on the conspiracy theories arising from the fact that some of the Founding Fathers were Freemasons. Chambers was a resident of New York state. He was very interested in the history of his home state as demonstrated by his historical novels like Cardigan (1901). The supposed murder of Morgan could easily have seized hold of his imagination and led to the creation of the King in Yellow. Besides Freemasonry, there are additional explanations for the predominance of yellow in the Carcosa mythology. Sax Rohmer wrote a novel, The Mask of Fu Manchu (1932), about the discovery of a fictional tomb of Mokanna. The storyline had no consistency with Moore’s poem. For example, Mokanna committed suicide by swallowing poison. Rohmer credited Mokanna with owning a golden mask, a concept borrowed from George Sale’s notes for his 1734 translation of the Koran. Sale stated that Mokanna owned a “gilded mask.” Moore’s footnotes to Lalla Rookh cite Sale multiple times. If Chambers researched Mokanna beyond Moore, he would have been led to Sale. Therefore, Chambers could have associated Mokanna with gold, a color akin to yellow. The description of the raiment of the King in Yellow as tattered needs to be investigated. Chambers had a strong familiarity with the legends of French region of Brittany. Many of his tales, most notably “The Demoiselle d’Ys,” a non-Carcosa tale in The King in Yellow collection, were set in Brittany. “The Messenger” from The Mystery of Choice (1897) listed a few Breton legends: “the were-wolf, and Jeanne-La-Flamme, and the Man in Purple Tatters.” “The Sunken Land” from The Maker of Moons, a non-supernatural romance that mentioned the King of Carcosa twice, has a woman requesting her lover to tell her a legend. He suggested “the Were-wolf or the Man in Purple Tatters.” Jeanne-La-Flamme, the fourteenth century warrior Duchess also known as Joanna of Flanders, and werewolves are legitimate examples of Breton folklore. Is the same true of the Man in Purple Tatters? He seems to be a character from “La Souris de Terre et le Corbeau Gris” (“The Field-Mouse and the Gray Raven”) in Emile Souvestre’s Le Foyer Breton, Contes et Récits (1800). In the story, a young woman’s dead fiancé returned to test her fidelity/ . During daylight, he was disguised as a handsome man dressed in velvet. Moonlight revealed his true appearance to be a skeleton under a tattered shroud. The color purple was never mentioned in the story, but it is often identified with velvet. By clothing the King of Carcosa in a tattered robe, Chambers suggested that his creation is synonymous with death. Another tale from Souvestre’s collection, “Peronnik L’Idiot” (“Peronnik the Idiot”). featured a woman with a yellow countenance . Clothed in black satin, this yellow lady was call La Peste (“the Pestilence” or “the Plague”). Mortals perished from her mere touch. Thus, yellow in Breton lore also represented disease and decay. The yellow tatters of Carcosa’s autocrat symbolize pestilence as well as death. One of Lovecraft’s correspondents, Robert E. Howard, also created a character derived from Mokanna. In “Black Colossus” (Weird Tales, December 1933), Conan of Cimmeria had to thwart a rebellion in the fictional kingdom of Khoraja, The leader of the revolt was Natohk, the Veiled One. This masked insurgent was really Thugra Khotan, a resurrected sorcerer who had committed suicide by poison centuries earlier. Khoraja was based on Khorassan, and Thugra Khotan’s genuine resurrection stemmed from a fraudulent resurrection of Mokanna in The Mask of Fu Manchu. 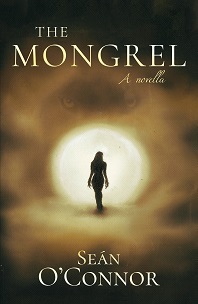 Howard’s usage of the Mokanna legend was earlier identified in Patrice Louinet’s “Hyborian Genesis,” published in Robert E. Howard’s The Coming of Conan the Cimmerian (Ballantine Books, 2003). Ironically, Lovecraft’s probable transformation of the yellow-skinned Thuba Mleen into the yellow-robed High priest foreshadows a later development in the weird fiction of Robert W, Chambers. After abandoning the King in Yellow during the 1890’s, he returned to the theme of cosmic horror In The Dark Star (1916). The novel was primarily an espionage novel involving an intelligence operation to steal the plans of the Gallipoli fortifications on the eve of World War I. The book has a supernatural framing device. The title referred to a fictional star in outer space. Also known confusingly as the Phantom Planet, the Dark Star was explicitly identified as the realm of the Devil. Instead of using the more familiar names of Satan and Lucifer, Chambers referred to the Devil as Erlik, the God of the Underworld in Turkic and Mongolian mythology. Associated with Erlik was “the brooding Demon which men called Truth.” Moving perilously close to Earth, emanations from the Dark Star generated the hatred which led to World War I. “Also there was a figure in bronze, encrusted with tarnished gold and faded traces of polychrome decoration. After World War I concluded, Chambers would return to Erlik in The Slayer of Souls. The Dark Star was given the name of Yrimid and also called Erlik’s World and the Black Planet. The sorcerers of Yian from “The Maker of Moons” were revealed to be the minions of Erlik. Yian was now associated with a terrestrial location called the Lake of Ghosts. The Dark Star and The Slayer of Souls represent a radical reworking of the Carcosa mythology into a parallel lore. The black stars over Carcosa have been converted into Yrimid. The King in Yellow and the Phantom of Truth was replaced by Erlik and the Demon of Truth. The extra-terrestrial Carcosa and Lake of Hali had been superseded by the Earth-bound Yian and Lake of Ghosts. The Erlik mythology is an inferior variation on the Carcosa mythology. As the description of his idol demonstrated, the Yellow Devil is a racist caricature. This second version of an outer-worldly Satan has yellow skin rather than yellow robes. There is no evidence that Lovecraft read The Dark Star, but he did read The Slayer of Stars. In a letter to Clark Ashton Smith (October 1, 1927), Lovecraft summed up the book as “a vast disappointment.” Despite this negative assessment, the Black Planet called Yrimid may have influenced Lovecraft to fashion the much superior Yuggoth in Fungi from Yuggoth. “In the Court of the Dragon” referred to “the awful abode of lost souls” within the domains of the King in Yellow. The story implied that the “abode” was the Lake of Hali. Chambers apparently imagined his macabre lake to be swarming with the spirits of the dead. This interpretation was confirmed by the parallel Lake of Ghosts in The Slayer of Souls. The Lake of Hali may have been spawned by another poem of Thomas Moore. Moore’s “The Lake of the Dismal Swamp” was based on an old legend of the Algonquin Indian tribe. The Great Dismal Swamp extends two thousand miles across the eastern border of Virginia and North Carolina. The title of the poem refers to Lake Drummond, which is located in the center of the swamp. Written during an 1803-4 tour of North America by the Irish poet, “The Lake of the Dismal Swamp” told of a young woman who died at an early age. 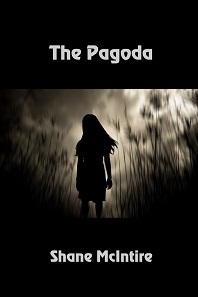 Rising from her grave, she haunted Lake Drummond paddling a white canoe, Hearing of her resurrection, her distraught lover went searching for her. Dying in the swamp, he underwent his own resurrection and joined his beloved in the lake. They would paddle the white canoe for all eternity. The resurrection of the young lovers in Moore’s “The Lake of the Dismal Swamp” may have reminded Chambers of the revival of the Arab narrator in “An Inhabitant of Carcosa.” Consequently, Chambers fashioned a haunted lake similar to Moore’s, and christened it after the sage who wrote of unearthly survivals in Bierce’s story. The shadows of those shades that go. Since I cited Leroux’s Phantom of the Opera earlier, some astute reader may be wondering if that 1910 novel could have played a role in Lovecraft’s invention of the High Priest of Leng in 1920, The answer is a definitive no. Lovecraft’s letter to Lillian D. Clark (September 18, 1925) disclosed that Lovecraft’s first exposure to Leroux’s creation was the 1925 film version with Lon Chaney. Just as the Necronomicon and the play The King in Yellow have parallel literary influences, Bierce’s Hali and Abdul Alhazred have parallel historical counterparts. In the fall of 1927, Lovecraft wrote ” History of the Necronomicon ” in order to impose an internal consistency for his stories. Here Lovecraft documented a biography of Abdul Alhazred. The author of the Necronomicon “flourished during the period of the Ommiade caliphs, circa 700 A. D.” Alhazred was devoured by an invisible monster in Damascus during 738. Lovecraft pretended that Alhazred’s biography was written by Ebn Khallikan (1211-1282). Also referred to as Ibn Khallikan and Aḥmad Ibn-Muḥammad Ibn-Ḫallikān, he served as chief judge of Damascus. He was the author of Deaths of Eminent Men and History of the Sons of the Epoch, a massive work consisting of four volumes. Among the individuals profiled by Ebn Khallikan was a man listed as “Khalid Ibn Yazid the Omiade” in an 1843 English translation. Khalid (d. 704) was an expert on medicine and alchemy whose works were translated into Latin. For a brief period, he was even an Ommiade (alternately transliterated as “Omiade” or “Ummyad”) caliph. This historical scholar was thoroughly discussed in Marco Frensckowski’s “Hali” as the real-life basis for Ambrose Bierce’s Arab savant. Khalid’s name was Latinized as “Calid” or “Hali” or “Haly” by European writers. Lovecraft wrote “History of the Necronomicon” not long after finishing “The Case of Charles Dexter Ward,” which contains numerous references to the Latin works of Renaissance alchemists and chemists. In the course of his historical research into alchemical literature, Lovecraft could have stumbled upon Khalid Ibn Yazid (alias Hali). The Royal Book (in Latin Liber Regalis or Regalis Dispositio) was another title for Kitab al-Maliki. Two of the four historical Halis briefly appeared Richard L. Tierney’s The House of the Toad. The novel featured “the Liber Secretorum Artis of the 7th century alchemist Khalid ibn Jazif, and Hali’s De Judicius Astrorum.” Liber Secretorum Artis is the Latin title of the Book of the Secrets of Alchemy. De Judicius Astrorum (“Complete Book on Judgment of the Stars”) was authored by Ali Ibn Rijal. Other reference sources referred to him as Jabir Ibn Hayyan (or Haiyan). Geber is a Latinized firm of Jabir. His works include the Kitab al-Zuhra (“Book of Venus”) and the Kitab Al-Ahjar (“Book of Stones”). The alleged teacher of Jabir, “Kalid Ben Jezidz” from the above passage is an alternate transliteration of Khalid Ibn Yazid The date of 776 or 777 A. D. for Jabir’s death is problematic because Khalid Ibn Yazid died seventy-two years before his pupil’s supposed date of death. Regardless of whether Jabir really studied under Khalid, he would have been alive during the final days of the Ommiade Caliphate (661-750), which was prominently featured in the “Arabia” entry from the ninth edition of the Encyclopedia Britannica. Lovecraft probably derived elements of his portrayal of Alhazred in “History of the Necronomicon” from Jabir (alias Geber). Lovecraft would have found Geber in Jules Andrieu’s “Alchemy” entry, and then cross-referenced the alchemist’s individual entry. The passage is clearly the source for Lovecraft’s usage of “Geber’s Liber Investigationis” in “The Case of Charles Dexter Ward.” Many other obscure historical tomes listed in “The Case of Charles Dexter Ward” can be found be in the ninth edition of the Encyclopedia Britannica. 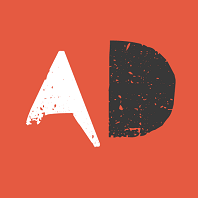 For example, the “Alchemy” article referenced the Turba Philosophorum, Artephius’ Key of Wisdom, Robert Fludd’s Clavis Alchimiae, Trithermius’ De Lapide Philosophico, and Roger Bacon’s Thesaurus Chemicus (using the alternate spelling of “Chimicus”). Raymond Lully’s Ars Magna et Ultima was discussed in the Encyclopedia Britannica entry for that author. The Qanoon-e-Islam, which was used to hide a copy of the Necronomicon in “The Case of Charles Dexter Ward,” was cited briefly in a footnote from the “Magic” entry by Edward Burnett Tylor (1832-1917). Joshi’s annotations for “The Dunwich Horror” in The Thing on the Doorstep and Other Weird Tales proved that Lovecraft similarly raided rare books from the “Cryptography” entry in the ninth edition for that story. The data in the ninth edition of the Encyclopedia Britannica has been superseded by later research. This is a summary of the facts ascertained from the current online Encyclopedia Britannica. One or more Geber impostors were responsible for the existence of four books published in 1678: De investigatonie perfectonis (“The Investigation of Perfection“), Summa perfectionis magisterii (“The Sum of Perfection or the Perfect Magistery“), Liber fornacum (“Book of Furnaces”), and De inventione veritatis (“The Invention of Verity”). Prior to 1678, various versions of these books existed with multiple titles and even contents. These fraudulent books bearing Geber’s name surfaced as early as the fourteenth century. Lovecraft’s citation of Liber Investigationis was to a supposed alternate title for De investigatonie perfectonis. Probably Lovecraft in “History of the Necronomicon“ chose to model Abdul Alhazred on Jabir (alias Geber). Regardless of the facts concerning Geber, Lovecraft would have only believed the alchemist to be a savant flourishing in the eighth century and an eminent figure described by Ebn Khallikan. Although the Geber entry employs the alternate transliteration of Ibn Khallikan, the spelling used by Lovecraft can be found in the entry for “Arabia” from the ninth edition of the Encyclopedia Britannica: “Nor should we forget the judiciously-selected biographies of Mahometan celebrities by Ebn Khallikan, in the 12th century, or those of Koteybah of an earlier date; but of such compositions as these the Arab name is legion.” Unlike Khalid Ibn Yazid, his “student” does not have a separate biographical entry in Deaths of Eminent Men and History of the Sons of the Epoch. Jabir, the genuine Geber, was only mentioned in the entry for his patron, the Iman Jaafar As-Sadik (702–765). This is the same individual called “Dschaafar ess-Sadik” in the Geber entry. He was a leader of the Shi’ite Muslims. While the article from the ninth edition gives Jabir’s death as c. 776, the current online Encyclopedia Britannica gives the alchemist’s lifespan as “born c. 721″ and “died c. 815.” If those dates are correct, then the assertion that Jabir studied under Khalid is false. There were two different Caliphates administering Arabia in the eighth century, the Ommiade and the Abassid. According to the “Arabia” article, the Ommiade Caliphs allowed freedom of expression while their successors were extremely oppressive. In order for Alhazred to be unhampered in his writing, his life had to fall within the Ommiade Caliphate which ended in 750. That fact would explain why Lovecraft would have Alhazred perish in 738, nearly four decades before Geber’s supposed demise in 776. An extraordinary literary irony may have transpired. Ambrose Bierce most likely chanced upon some reference to Hali, and decided to bestow that name for a literary character, Whether Bierce was aware of Hali’s connection to Khalid Ibn Yazif is unknown. Bierce’s Hali influenced Lovecraft’s Abdul Alhazred. While fleshing out Alhazred, Lovecraft created a background derived from Jabir (Geber), a purported pupil of Khalid. Lovecraft was probably unaware of Khalid’s alias of Hali. The lines by Smith were a throwback to the early presentation of the Necronomicon as a text dealing with resurrections from the realm of the dead. By the time “The Return of the Sorcerer” was published, Lovecraft had already shifted Alhazred’s tome into a chronicle of rites and lore venerating dark gods from beyond the stars. The properties of the Necronomicon derived from Ambrose Bierce consequently receded in Lovecraft’s fiction. Alhazred had ceased to be an echo of Hali. Just as the genuine Geber became a more acclaimed alchemist than a real-life Hali (Khalid Ibn Yazd), Alhazred evolved into a more famous literary character than the fictional Hali. Chambers’ transformation of Bierce’s Hali into a lake were very appropriate. Lakes are the sources of rivers. Bierce’s stories functioned as the primary source from which sprang two great literary streams navigated respectively by Chambers and Lovecraft. I would like to thank Matthew Carpenter and Jean-Marc Lofficier for assistance in preparing this article. Jeez that book in its entirety looks amazing! OK, it’s not clear to me whether this piece is by Mike or Rick Lai but in either case this is a most interesting and thorough read. Thank you. It’s got me on the hunt for many of the works referenced that I haven’t read. Truly, a monumental work! The paragraphs are dense with facts, derived from sources, most of which few of us will every have access to. I stand amazed, as Rick depth of research brings us closer to an understanding of the Lovecraft’s creativity and his methods. Thank you so much Rick for taking the time to brick and mortar this article! Sorry, I’m not sure why this double-posted. An incredible work rick! Since submitting this article, I discovered something that altered the conclusions slightly. The text in the online link for Thomas Moore’s LALLA ROOKH is flawed. It is missing a key footnote that mentions Mokanna was known as “the Moon-maker.” This footnote strengthens the connection to Chambers’ “The Maker of Moons.” I was able to trace the source of that “Moon-maker” reference to George Sale’s extremely long introduction in his 1734 English translation of the KORAN. Sale’s introduction, which dealt with the history of Islam, was read by both Thomas Moore and Sax Rohmer. Sale was the source of two key variations on the Mokanna legend: 1) the suicide of the Veil Prophet in a fiery cistern (used in LALLAH ROOKH) and 2) the claim that Mokanna also owned “a gilded mask” (the basis for the golden mask in Rohmer’s THE MASK OF FU MANCHU). Therefore, there was s a logical reason to associate Mokanna with yellow or gold when Chanbers wrote THE KING IN YELLOW . This is a substitute link to the text of Moore’s poem. I have edited the article with your updates. Mike, thank you very much. You’re terrific! Very impressive and fascinating research. Thank you! Fascinating! Interesting to see how some of my favorite pieces of literature, including The Phantom of the Opera, all sprung from the same source… Great research work here! Wonderful article. Rick, I hope you’re planning to do a collection of your Lovecraftian research pieces. Thank you M. Lai for this great essay! -And in recent scholarship, William R. Newman makes a pretty solid case for Paul de Tarente being the medieval pseudo-Geber. Thanks again for the captivating read. Thanks for those two excellent observations. I have never seen “Carcassonne” reprinted without this introductory note.